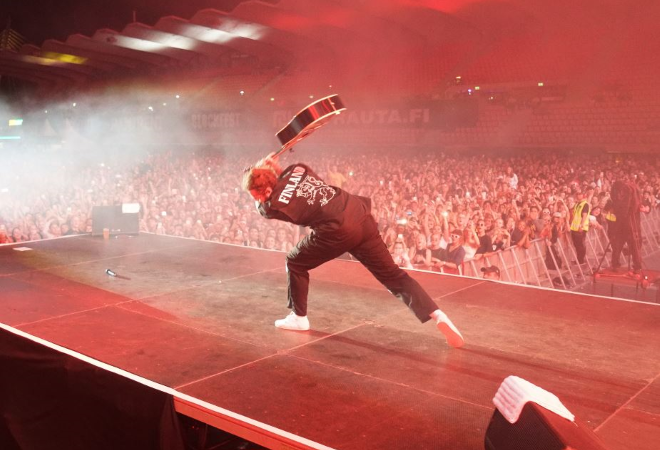 The history-making, multi-platinum artist Post Malone will head to the UK & Ireland in 2019 as part of his first ever European arena tour. The chart-crushing Dallas superstar will hit the road in support of his second full-length release ‘beerbongs & bentleys’. The huge tour will launch on Valentine’s Day in Dublin before heading to historic venues across Europe and finally coming to a close with a massive London show at The O2. Post Malone is famed for his ability to combine genres to create his own unique sound. His RIAA Platinum certified debut album ‘Stoney’ earned him his first Top 10 Billboard 200 and first No.1 R&B/Hip-Hop Album titles. He was also the No.1 Debut Hip-Hop Artist of 2016. This year his sophomore album ‘beerbongs & bentleys’ debuted at No.1 on the Billboard Top 200, achieving one of the year’s “biggest streaming weeks ever”. Malone has seen nine of his tracks in the Hot 100 Top 20 and broke the record for most simultaneous Top 40 Hot 100 hits, with 14 in total. As ‘beerbongs & bentleys’ returned to the No.1 spot for the second consecutive week on the Top 200, Post Malone shows no sign of slowing down. Don’t miss the opportunity to see him live on tour next year.